I am a tradition-loving person. I’m the first one to ensure that we carry on meaningful and beautiful practices introduced to us by our parents and grandparents. We celebrate Noche Buena and exchange gifts during Christmas. We prepare a feast for Media Noche. We do church visits, try to be discreet and avoid family outings during Holy Week. I like to keep our childhood memories alive until today, even in the simplest traditions. Now that I have a little family of my own, Not only do I try to incorporate within our family the values and traditions I grew up with, I also create and pioneer new ones! For one, it’s been customary for my husband to give me a ring on my birthday. We have done that for the past nine years. We also celebrate my birthdays in Tagaytay or in any out-of-town. Every Holy Week, my husband gets his own space and time for his spiritual nourishment. As for the kids, we always give them a summer vacation/outing. At Christmas time, we also get a short family staycation in a hotel. That Holiday staycation tradition began in the year 2012 when Jonath was barely 3 months old. We brought Jonath to my husband’s office to give (and receive) gifts/aguinaldos to his godparents. And since we don’t own a car and commuting is a nightmare during the Holidays, we thought it would be best to relax for the night in a nearby hotel. 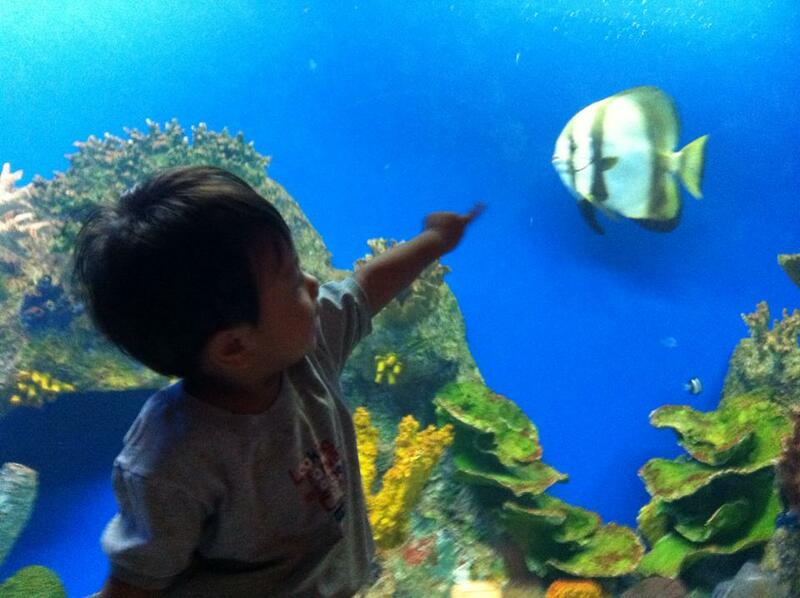 In 2014, with two kids and one being a toddler already (that’s Jonath), we decided to try Hotel H2O as Jonath started his fondness of fishes. We supposed that an Aqua Room (a room with a big aquarium wall) will be an astonishing and memorable experience and entertainment for our children, especially Jonath. True enough, our Christmas treat for them was a huge success. They absolutely loved the room. 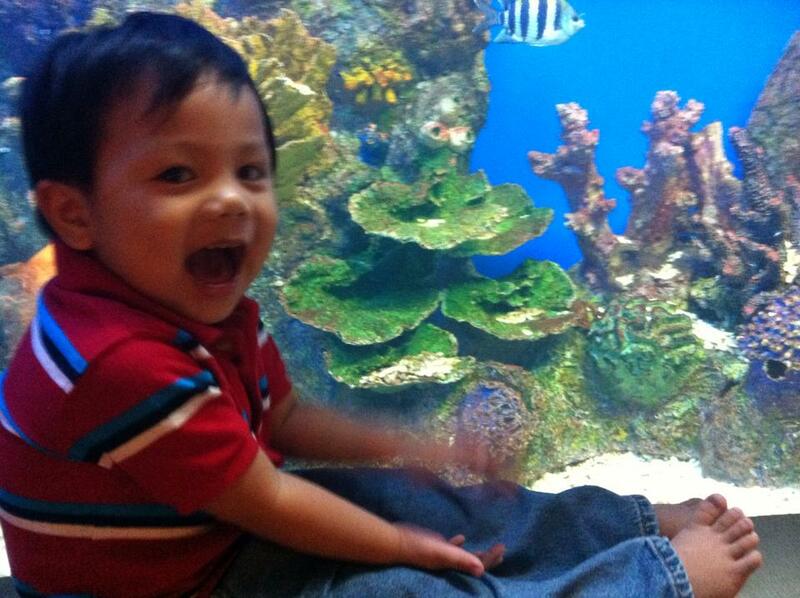 Jonath had so much fun as he watched the fishes swam the whole time. He patiently waited for Nemo (clownfish) to appear. I would never forget the look of amazement in his eyes and his wide smile, nor the sweet and unexpected “thank you” from a 2-year old. 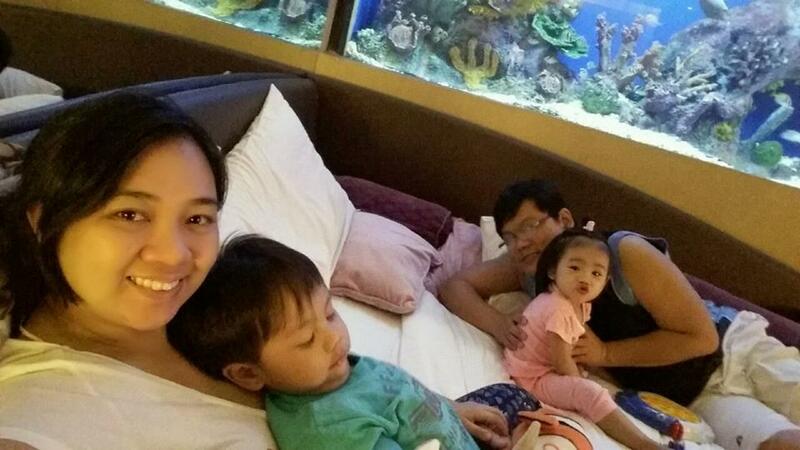 Last Holiday season (2015), we spent again a night in Hotel H2O because our son wanted to see the fishes once more. He’s still in love with fishes, yes. In fact, he had been looking forward to “sleeping with the fish” again. Our second time in Hotel H2O was not a disappointment either. 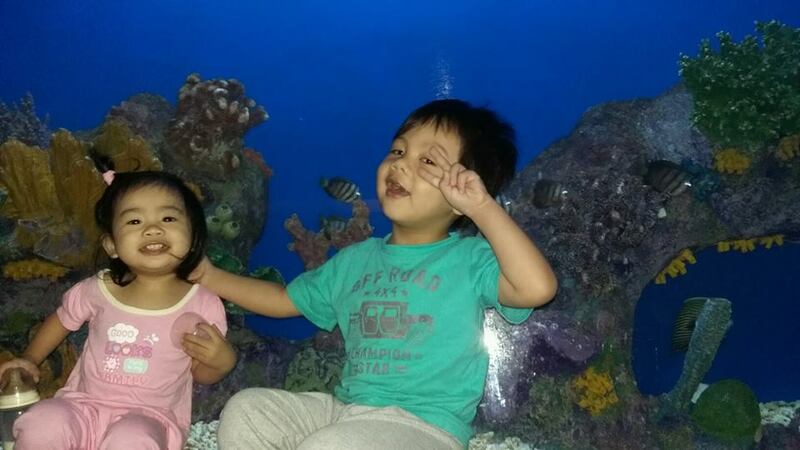 The recent visit, however, brought joy not only to our son but also to our 1-year old daughter who seems to have been influenced by his kuya’s love for fishes. I would never forget how my kids wanted to have their pictures taken in the aquarium immediately after entering our room. It was like a home away from home for them. No fear or whatsoever to be in unfamiliar place. We only wished there’d be more Nemo (clownfishes) because it’s the most popular among kids aside from sharks (and soon, Dory too!). I got a bit tired explaining to my son why Nemo was not around swimming. All photos are from Hotel H2O’s website. On a more serious note, here’s what I have to say about Hotel H2O as an adult, not as a mother of two happy kids and not as a mother who tries to be child-like because of her kids. This is my plain and unornamented opinion and observation based solely on our stays in this hotel. I love its location. It’s in the heart of the city I love, Manila. 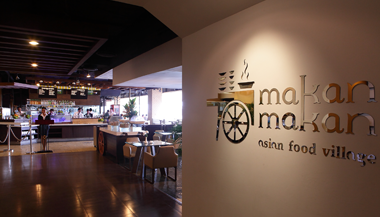 It’s near our home and it’s near other restaurants and shopping malls. It is in the Manila Ocean Park and in it are restaurants which offer various delicious food and not to mention a great view of the famous Manila Bay sunset. I must say, though, that same entrances for the theme park and the hotel may turn off some customers. But if you don’t mind the lack of too much privacy and exclusivity, then I guess it won’t bother you at all. All the service staff who I encountered were courteous and kind. They were all professionals, from the security to the cleaners and front-desk officers. The service itself was impeccable. The room was clean. The sheets and towels were spotless too. My only concern about the room was the bed mattress. It seemed as if an elephant slept in our bed the other night. In short, lubog na. If not for my kids’ excitement with the sight of the aquarium, we would have requested to be transferred to another room. In our first visit in 2014, we had a good mattress in our room. So, it’s safe to assume that it’s not the case in every room. Another minor concern is the lighting. I don’t know if it’s only me but I find the room darker/dimmer than most of the hotels I’ve stayed at. Perhaps it’s to give a better effect to the aquarium but I will personally appreciate getting a little more light considering that Aqua Rooms are windowless. Nonetheless, we all had a good night sleep. I slept away watching the replay of Miss Universe 2015 in cable TV. Even the lobby where reservations and payments are made is a bit dark for me. Had a hard time looking at my purse. I appreciate the room compliments too. Usually, it’s just two bottles of water. This hotel made an extra effort by putting in some sodas, nuts and cookies. The room slippers were better than what other hotels offer too. During our visits to Hotel H2O, we were unfortunately not able to see any of its amenities like the spa or gym so there’s nothing I can say about those. However, let me echo the voice of other guests, I wish that in the future this hotel finds a way to offer a swimming pool exclusive for the hotel guests. That I think is the only missing piece for this hotel to be “the choice” for most people. All in all, we had great experiences with Hotel H2O. With proper maintenance, improvements from time to time and thoughtful innovations, this hotel can remain as one of the major hotels in the city. It can be so much more than what it is now because of its unique offerings such as the aquatic-themed rooms, marine experience and prime location which I think will be hard for others to imitate. As I said, it can be the first choice in the family hotel category if they play their cards right. 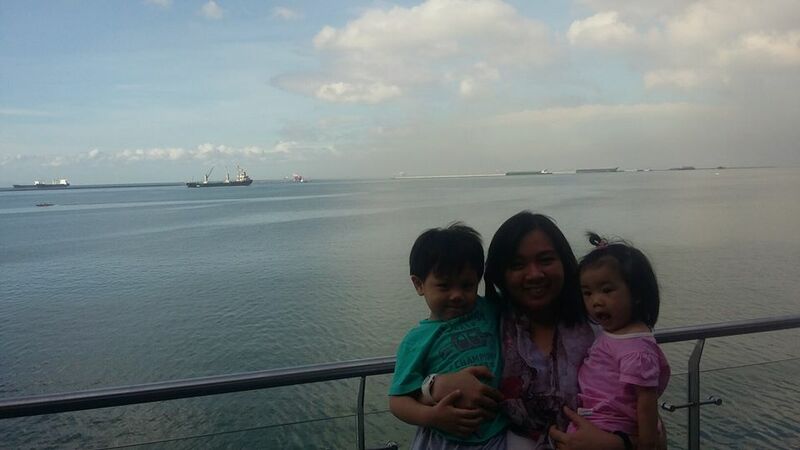 To end this post, let me share to you our pictures from our staycations. Where would you want to spend your next staycation? Do you have a favorite hotel in Manila? Share your thoughts away!